The end of the calendar year signals the end of the school year for students at Christel House South Africa. Just before the holidays, twelfth grade students prepare for their Matric exam—an essential test that can determine future opportunities for young adults. For soon-to-be-grads, it’s often not easy to focus on the exam. That’s because many students at Christel House South Africa return home every evening to environments that are unstable and violent. A new facility, known as The Farm, will offer students the safety and tranquility they need to study—and succeed. An outbuliding on The Farm property (pictured here) will be converted into student dormitories. Ultimately, The Farm will house 50 Christel House students. 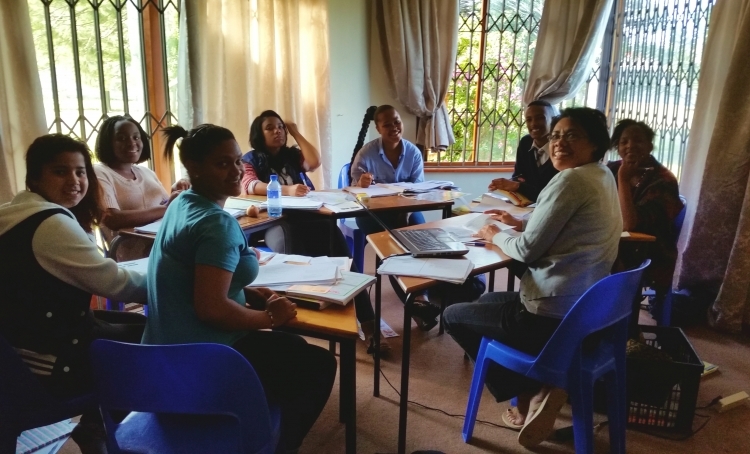 The Christel House South Africa staff is working now to renovate and furnish the building, and add technology to support students in their studies. If you'd like to help prepare our South African students to enter the adult world with confidence, please share your support. And be sure to check the website for updates on The Farm and the young people who'll stay and study there. Once the Farm project is fully funded, additional monies will be used to fund operational expenses for all Christel House children.